Innovation in the online TV & movie watching seems to be iterating faster than the law. It’s possible to have access to movies & TV shows legally with paying for iTunes, Amazon, Hulu or the most popular way, Netflix. All of these provide a convenient way to enjoy content a the click of a button or two. Costs of these services are significantly cheaper than a cable or satellite monthly subscriptions, and people are moving with their feet away from them. One reason for their success is the ease of use of these systems, you can purchase a whole TV series with a few clicks of a remote on your AppleTV. The question arises, what happens if it’s just as easy to pirate the materials as it is to pay for it. Are people still willing to pay for the content ? We’ve recently seen some easy ways for accessing online content that will probably put a dent in the above named TV content providers and the film studios. 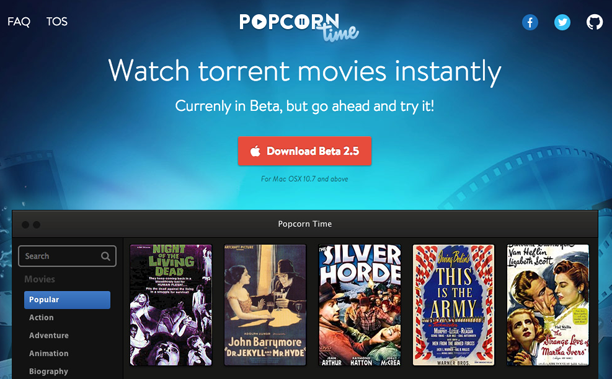 As the name suggests, Popcorn Time (getpopcornti.me / popcorn-time.tv ), is a tool that you can use for watching films or movies online. It’s available of PC, Mac and Linux and it’s free. Popcorn Time is an open sourced project, you can download the code for it on Github, the popular code hosting platform. To an outside person it could be consider a free version of Netflix, that has even more content on it than NetFlix. The current version lists recent Oscar winning movies like Frozen, 12 years a Slave, Dallas Buyers Club and a lot more. So if all of this is for free, then where is the catch ? The system works like a browser for bit-torrent files, but also allows you to stream the movie directly by requesting the content pieces in order. It does come with a warning that using torrents may not be legal in your country. In the past studios have tried to sue file sharers, and the only way to make it harder to be tracked downloading torrents is with a virtual private server. No doubt the movie studios are monitoring websites like Popcorn Time, but the creators say that they only providing an interface to access the material. No movie content is hosted by them, besides the posters, and they also don’t charge or make money from the website. So it’s not a commercial venture profiting off the works indexed by them. 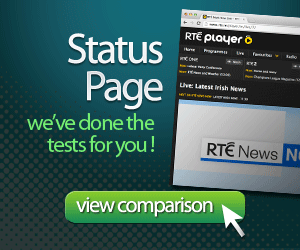 We’ve mentioned Filmon previously as a way of watching live TV. 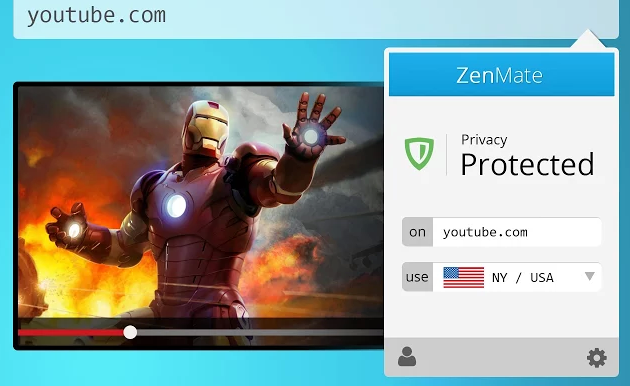 Another service that a reader recently shared with us is zenmate.io. Zenmate boasts over 1 million active users of their plugin and is developed in Berlin, Germany. It currently only works as a plugin for Google Chrome. It works by directing specific traffic via internet proxies to avoid the geographical restrictions that YouTube and other services use. The service is currently free, we don’t know how they are making their money, but they do have enterprise options. 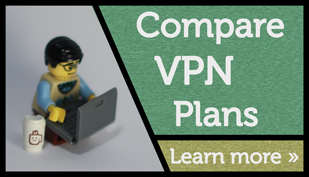 By using a proxy you direct your web traffic via third party services, and you can then access content that is only available to where your proxy is located. Here’s the list of the proxies we’ve tested & recommend.